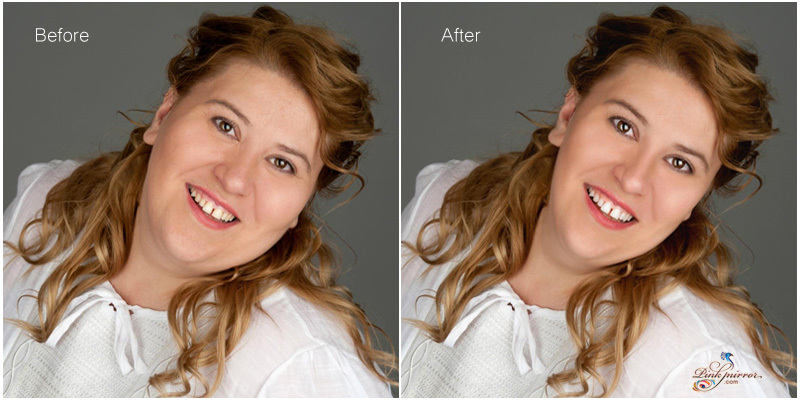 Have you put on a little weight recently or maybe your photo was taken at a bad angle? Perhaps you are someone with a naturally plump face? If you fall into one of the above categories there’s a chance that you look much better in person than on camera and that’s more than okay! 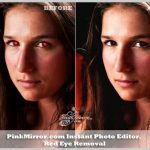 Thanks to PinkMirror’s photo editor, you can quickly and easily look a million dollars in photos because of the unique way this software works. Since you already look good in person, you now get the best of both worlds. 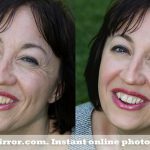 With PinkMirror you have amazing face slimming and face thinning capabilities so you can make all photos beautiful. You can use PinkMirror’s face slimming and face thinning feature to quite literally ‘trim the fat’ as you can reduce the size of your cheeks. The end result is a slimmer, sharper and better looking face. On camera, a slimmer face appears to be more aesthetically pleasing so you can have more success and more attention. 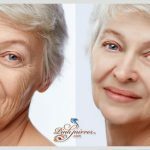 As we age, we have a tendency to gain weight and some of it will inevitably end up on the face. One of the most dreaded accumulations of facial fat is ‘jowls’ which gathers around your neck and instantly makes you look years older. 1) Reduce the fat on your cheeks. 2) Get rid of those jowls. Take a look at the photos above of an attractive woman with a large build. Unfortunately, the excess fat on her face ensures an uneven face shape no matter how she tilts her head. As a result, she will find it impossible to take a photo that reveals her true beauty so she didn’t try. 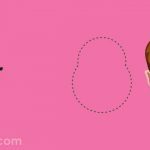 With just a few clicks of a button, she was able to use the PinkMirror face thinning tool to remove the excess fat and get the best face slimming options. The end result is a natural looking picture where she has a symmetrical and extremely attractive face because of PinkMirror. What was a reasonably good portrait to begin with has been transformed into a beautiful one. What Are You Waiting For? Use the Face Thinning Tool Today! Occasionally, it is not enough to hide any marks and scars on your face because their may be other flaws. Indeed, some of the airbrushing software you see online does nothing more than provide an unnatural look that is clearly ‘fake’ to observers. 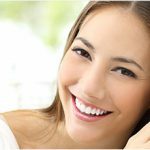 Do you have a round face with excess fat that continually hides your best features? 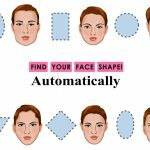 If so, use the PinkMirror face slimming and face thinning tool to sculpt your face thus revealing your natural attractiveness. Best of all, you end up with a completely realistic end result and finally have a portrait you can be proud of. Let’s provide you with another example. In the photo above, we have a lady with a square jaw, a feature associated with masculinity. Again, it was possible to use PinkMirror to subtly reduce the size of the jaw and as you can see, the results are quite eye-opening. In the ‘after’ photo her prettier features are allowed to stand out. This is all thanks to the newly feminized jaw because of PinkMirror. 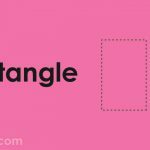 Are you going to go to the trouble of taking photographs and posting them online so you can show them off? Why not go the extra mile and make them look professional? You should never compromise when showing your face to the world. Hiya, do you guys accept work based on payment?? I really need my picture to be edited from my graduation in a similar style as above. Excellent photography. 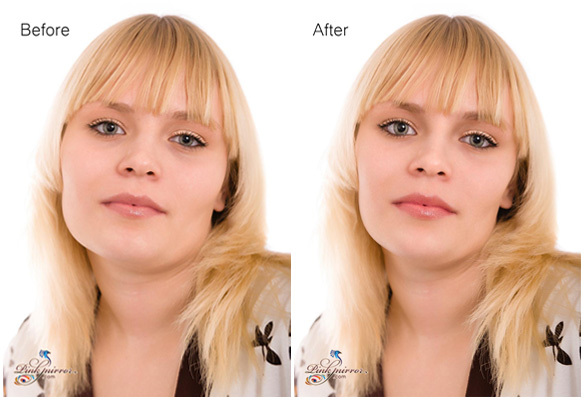 Its example for photo editing service. Provide you with another example in the above we have a lady with a square jaw a feature associated with masculinity.